President Donald Trump invited an 11-year-old boy to the White House after the tween wrote the president that he’d like to mow its lawn. 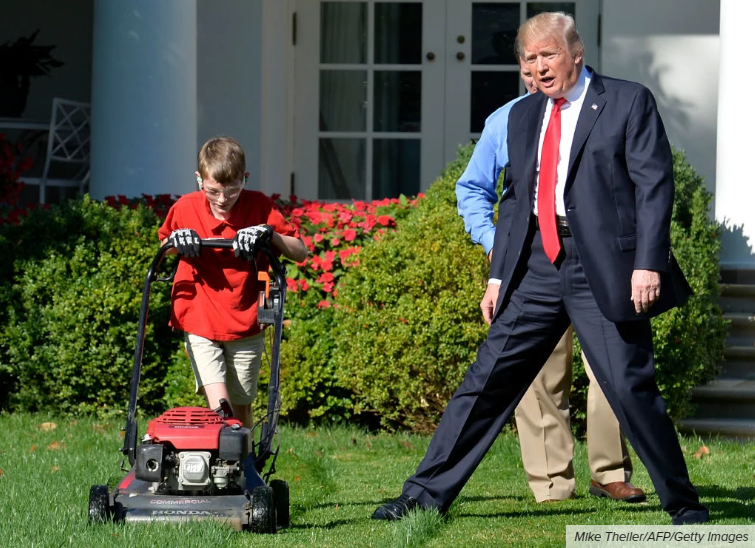 The boy, Frank, who typically charges $8 to mow lawns, offered to do the White House lawn for free. The president accepted the young man’s offer. Frank, in his letter to Trump, said he would be honored to mow the lawn on the White House some weekend. He wrote that even though he was just 10 years old, he wanted to show the world what young people like himself are readying themselves for. Frank said he liked the president’s business background and began his own business, mowing his neighbors’ lawns for a while now. He sent a list of products he offered and suggested the president choose what method of lawn keeping he wanted. Frank wrote that he’d mow the lawn for free. Many pictures of the president and Frank interacting went viral, and for good reason. It humanized the president and captured Frank’s empire-building spirit. Despite the generous gesture, people just had to make it a political issue, citing that the president was breaking child labor laws. 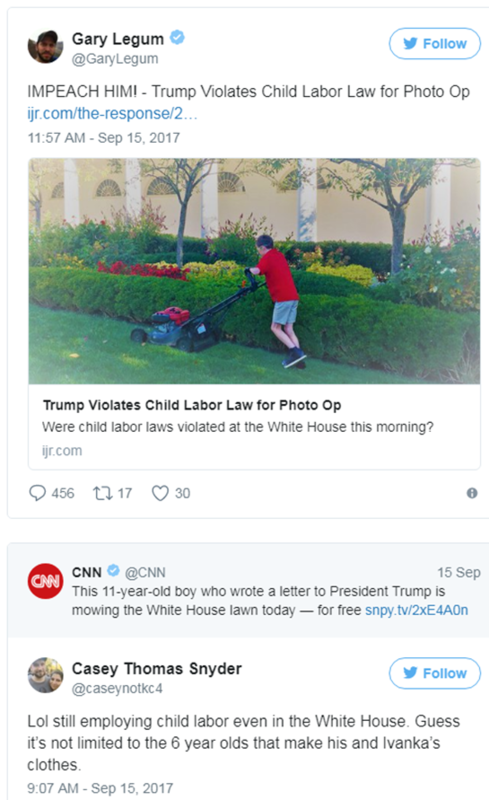 One person wrote that the president wasn’t setting a good example for child labor, occupational safety and minimum wage by letting the young boy mow the lawn. Another commenter said Trump was promoting child labor while another said he had no understanding of child labor laws.